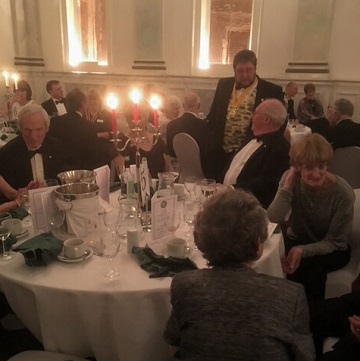 President Malcolm Webb welcomed the 84 guests to the Rotary Clubof Lincoln´s 96th Charter Night Dinner held at the Assembly Rooms. The number attending was most pleasing given that the event had to be rearranged from Friday 2nd March because of the inclement weather. 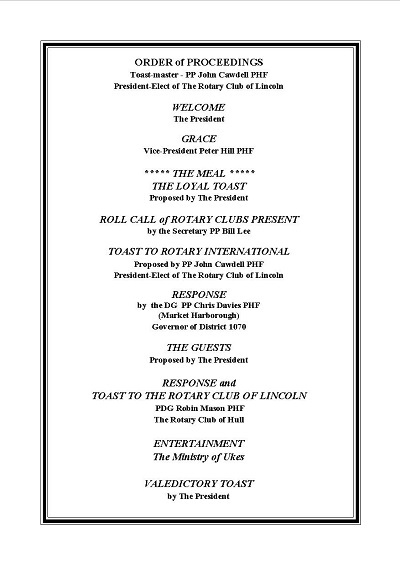 The programme for the evening as originally planned. Thanks goes to DAG Peter Berry for standing in for the DG Chris Davies, who unfortunately was unavailable on the rearranged date. 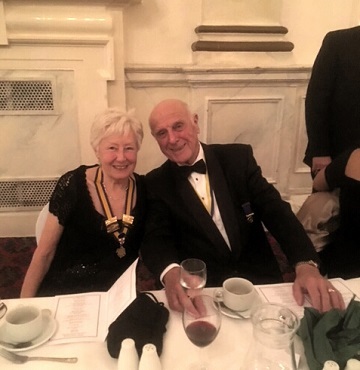 The President of Lincoln Inner Wheel Maureen Coffey with husband Rotarian Terry. PP of Lincoln Colonia James Wood in conversation. 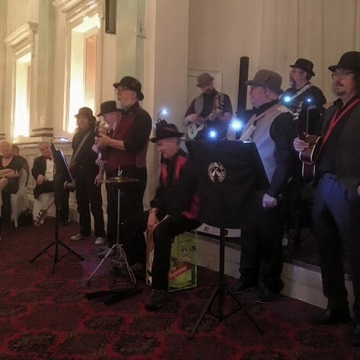 The Ministry of Ukes provided the excellent entertainment and were delighted to state on their Facebook page that they had received their very first standing ovation at this event.